The Mobil DTE Oil Named Series of lubricants are premium performance circulating lubricants designed for applications including steam and hydro turbine sets and other systems where long lubricant service life is required. 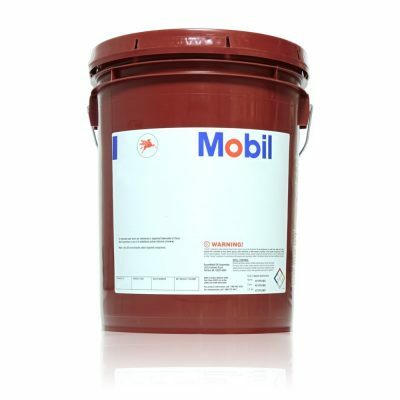 Mobil DTE Oil Named Series lubricants are formulated from highly refined base stocks and an additive system which provide an extremely high level of chemical and thermal stability, rapid and complete separation from water and a high resistance to emulsification. They provide excellent protection against rust and corrosion, including resistance to salt water, and good antiwear properties. They have a high viscosity index which ensures minimum variation of film thickness with temperature and minimum power loss during the warmup period. These grades have excellent air release properties which allow entrained air to separate, thus avoiding pump cavitation and erratic operation. Mobil DTE Oil Named are the lubricants of choice for many users because of their reputation for long life, excellent equipment protection and outstanding versatility in the wide variety of industrial applications. DTE Oil Named lubricants are used widely in steam turbines and hydroturbines with splash, bath and ring-oiling arrangements, and all other continuous circulation methods involving pumps, valves and ancillary equipment. This product series is recommended for continous service in the lubrication of plain and rolling bearings and parallel shaft gearing. They have also been used successfully in some gas turbine and rotary air compressor applications, as well as vacuum pumps. Their reputation is based on many decades of successful service and satisfied users.